A bus driver spotted the young child wandering around barefoot in frigid temperatures. MILWAUKEE, Wisconsin — Authorities say an alert Milwaukee bus driver rescued a young child found wandering barefoot on a freeway overpass in frigid temperatures. 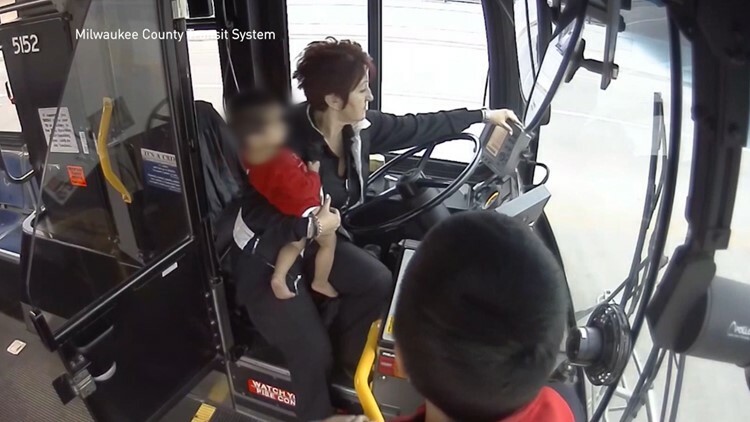 The Milwaukee County Transit System says the boy was less than a year old and wearing only a diaper and a onesie when bus driver Irena Ivic spotted him on Dec. 22. Security video shows the boy toddling down the overpass. The video later shows Ivic stopping her bus, running across the street, picking up the crying child and carrying him to the bus. As Ivic called for help, a passenger gave up her coat to keep the boy warm before police and firefighters arrived. Authorities say the child was cold and frightened, but otherwise OK.
A Milwaukee bus driver rescued a young child found wandering on a freeway overpass on Dec. 22, 2018. Police say the child had been left outside by his mother who may have been suffering from a mental health crisis. 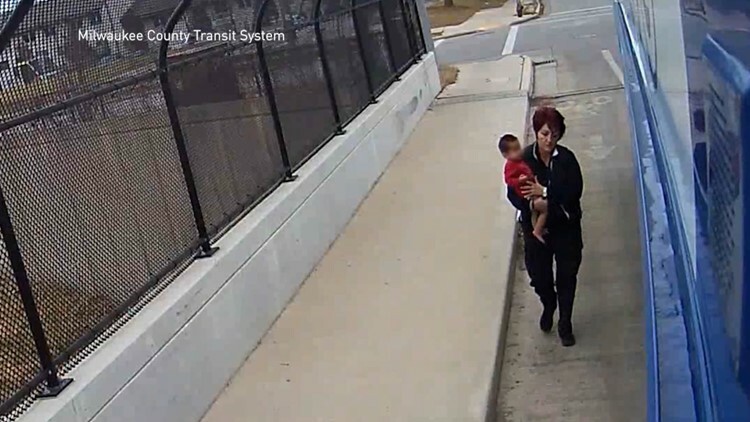 A Milwaukee bus driver holds onto a young child she found wandering on a freeway overpass on Dec. 22, 2018.